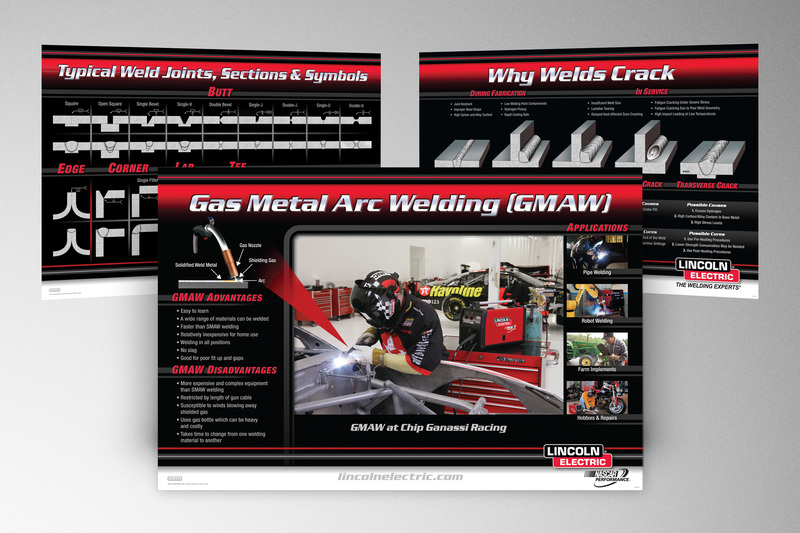 Lincoln Electric provides a vast array of educational opportunities for new and continuing education welders. They wanted to convey the multitude of welding techniques, challenges, equipment uses and more in large poster format to be on display in their training center. We developed the overall layout deign that would remain consistent throughout each poster and produced over 15 of these educational aides utilizing a variety of 3-D illustrations, photography and data to enhance their students’ learning experiences.